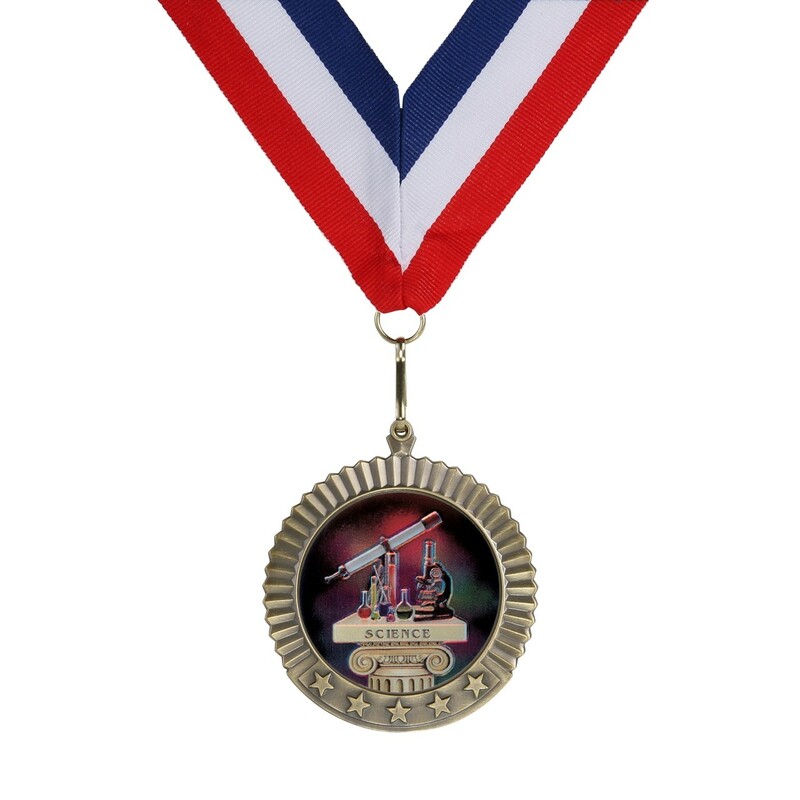 Award our Science Jumbo Value Medallions to your favorite scientists! These cool science medallions measure 2.75 inches in diameter and show a color holographic insert of a telescope, a microscope, and chemistry set. 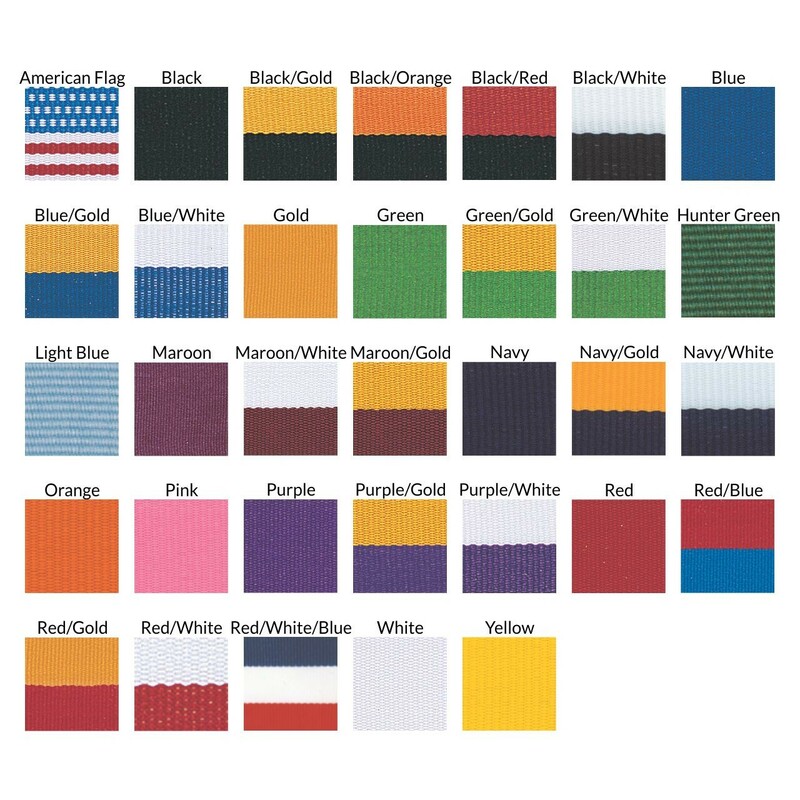 In your choice of gold, silver, and bronze medal and neck drape color. These medallions make great science fair awards.